Heineken demonstrates its commitment to the preserve the environment in Mexico. On July 2016, Cuauhtemoc Moctezuma (CM) / Heineken announced that two thirds of the electricity used in their plants in Mexico, will come from renewable sources. The brewing company has decided to take this action because of the commitment made as part of the Energy Reform, which states that 35% of the energy should come from clean technologies. Cuauhtemoc Moctezuma is now evaluating local firms to become suppliers as part of its strategy for 2020. Blanca Brambila, sustainability manager, made the following statements in an interview with Forbes magazine: “Our operations staff is currently evaluating different companies that produce energy through renewable sources. We are looking for a supplier with the capability to provide a high quality service. “In 2015 the company invested about 140 million pesos (7 million USD) in processes and best practices for the six Mexican plants, in addition to that. 81 million pesos (4 million USD) were allocated for social responsibility. The company has based its strategy in six basis points: water protection, reducing CO2 emissions, responsible supply, intelligent consumer, health and safety, and community. For 2020 they expect to reduce carbon emissions by 40% in the production chain, 50% in cooling and 20% in distribution. 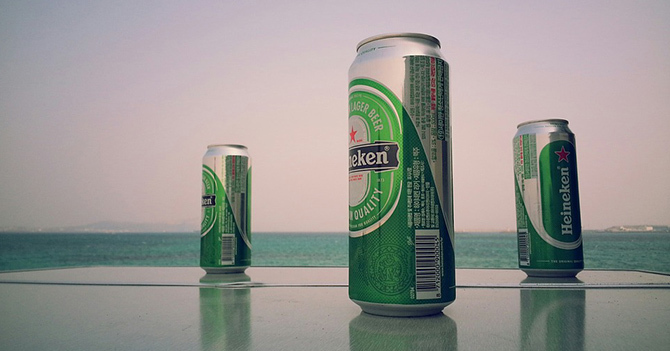 During 2014 the company achieved to use 3.4 liters of water per liter of beer, and in 2015 the figure reached 3.3 in Mexico, despite the fact that the international average of Heineken is 3.7 liters. They also planted trees on 130 hectares in the basin of the San Juan River in the norhern state of Nuevo Leon. Another achievement of the company was the implementation of maritime shipments to export products to the East Coast of the United States, as during 2014, 100% was shipped by land, and now 30% is done by sea, which helped significantly to reduce CO2 emissions. With these achievements the brewing company has improved its customer service and inventory control on exports to the United States.